Principal of Guildhall School of Music & Drama Lynne Williams has been awarded Member (AM) of the Order of Australia for significant service to the performing arts. The Order of Australia is the pre-eminent means by which Australia recognizes the outstanding and meritorious service of its citizens. The award will be announced in the Australia Day 2019 Honours List on 26th January 2019. Williams took up her appointment as Principal in 2017, bringing 40 years of high-level experience in arts and pedagogy to further Guildhall’s mission to be a conservatoire for the 21st century. In her first two years at the School she has already led on the creation of an ambitious new five-year strategic plan, bringing her vision of the importance of the artist’s role in society, leading cultural change. She has also developed important relationships with Guildhall’s partner organisations, including the Barbican, the LSO and the Museum of London as part of Culture Mile, and contributed to the plans for the new Centre for Music, of which the School is one of the three leading partners. Across her career, Williams has developed a significant breadth of arts practice, pedagogy and cultural entrepreneurship across not-for-profit, government and commercial sectors. 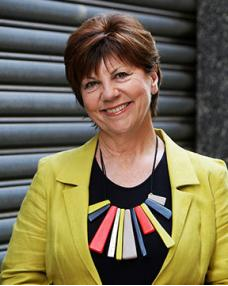 As Director/CEO of Australia’s National Institute of Dramatic Art (NIDA) from 2008 to 2017, she led transformative change, including a reinvigorated teaching and learning environment, and international partnerships, and she oversaw the construction of the NIDA Graduate School, opened by the Prime Minister of Australia, at the time the Hon Malcolm Turnbull MP. Before arriving at NIDA, Williams held many arts and cultural leadership positions in the UK. She led the development of the Culture, Ceremonies and Education Programme for the London Organising Committee of the Olympic Games, following her contribution to London 2012’s successful Olympic Bid as a Cultural Advisor/Creative Producer. She was also Artistic Director/CEO of Cardiff 2008, the company bidding for Cardiff to be 2008 European Capital of Culture. Her experience in performing arts began in Australia, where she studied and performed as a professional singer specialising in contemporary music and music theatre. She has a deep commitment to arts education and increased public access and has developed and promoted work across the full spectrum of the arts. She served on the Arts Council England Touring Panel and advised on a number of national audience development initiatives. She was also an Arts Council England advisor for contemporary music, opera, theatre and dance. She has served as a chair, a board and committee member of a variety of arts companies in both the UK and Australia including Arts and Kids, National Endowment for Science, Technology and the Arts (NESTA), and Performing Lines (Australia).